﻿Manhattanhenge Photos Through the Years: Which Is the Best Year? 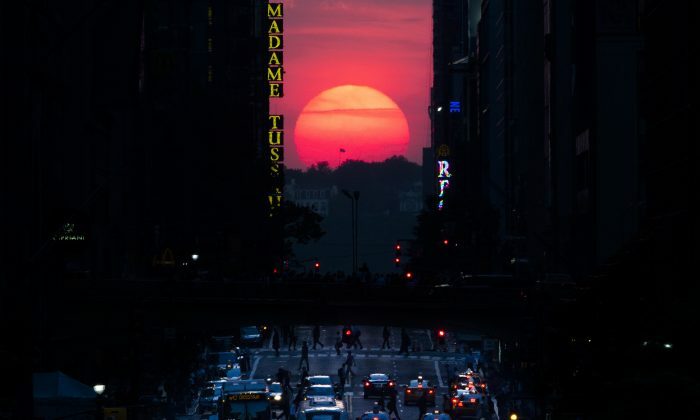 If you tried to catch “Manhattanhenge” this weekend only to see clouds instead, you may find some comfort in these pictures of the visual phenomenon captured over the years. 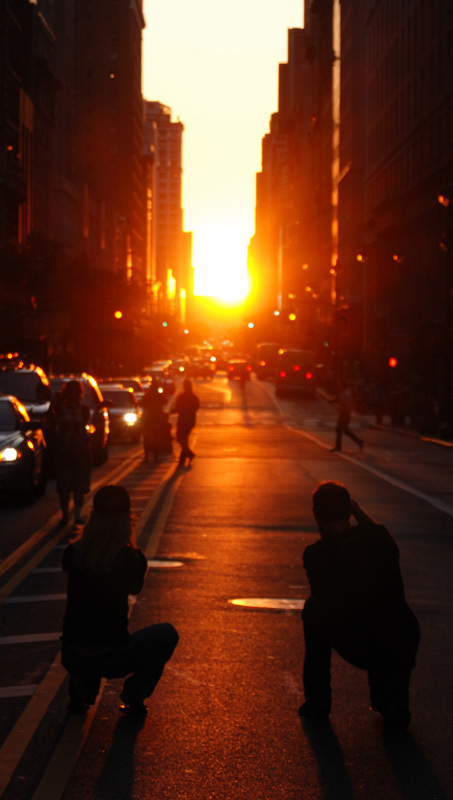 Manhattanhenge is a play on the words “Stonehenge” and “Manhattan.” Just as people gather to watch the sunsets perfectly aligned with the prehistoric stone monument in Britain, people have also noticed the visual appeal of a sunset aligning along the grid structure of Manhattan’s streets. Only two times a year does the sun set in a perfect angle so as to be visible from the eastern edge of the island, as it peaks, from the west, through the walls of skyscrapers. One of the chances this year occurs on two days, May 29 and May 30, shortly after 8 p.m. But the first day’s opportunity was thwarted by clouds. And the forecast indicates cloudiness on May 30 as well. Indeed, Manhattanhenge was reported to be a failure last year as well. The next chance to see the alignment will be July 11 and July 12 at 8:20 p.m. The term “Manhattanhenge” was coined by the astrophysicist Neil deGrasse Tyson, director of the Hayden Planetarium. For best effect, position yourself as far east in Manhattan as possible. But ensure that when you look west across the avenues you can still see New Jersey. Clear cross streets include 14th, 23rd, 34th, 42nd, 57th, and several streets adjacent to them. The Empire State building and the Chrysler building render 34th street and 42nd streets especially striking vistas. According to Tyson, the phenomenon, or rather the possibility to clearly observe it, may be unique to Manhattan.